Like most people, I’m using mobile devices more at different times of day. And like most people, I’m looking for a seamless experience that moves smoothly between devices. Sadly, that’s not always what happens. I recently visited a website using a mobile browser on my Android tablet. I can’t remember what information I was looking for, but I never found it. That’s because no matter how much I tapped and pressed, none of the links worked, so I left that site and found one that gave me what I needed. That’s a major mobile user experience (UX) fail. And as you can see, it can have a major impact on conversion rate. When your site doesn’t perform as expected, users leave, which means your conversion goals can’t be met. Google’s research shows that a good mobile UX can “turn users into customers.” In contrast, poor UX can make you lose your audience. Some mobile device users only wait a second before abandoning a site. That’s a very short time to make a good impression. Many don’t. Here are 7 of the major mobile UX failures I’ve experienced on my Android device. I’m willing to bet some of them happen on Apple mobile devices too! I have to admit that sliders that don’t slide are a pet peeve. Lots of sites use them, but few of them work as intended. It’s often difficult to make the navigation buttons advance from one button to the other. I’ve lost track of the number of sites I visited where all I can see is the first image on the slider. And there’s more: what looks great on a huge desktop screen may not look good on the screen of a mobile device. Those medium-sized images with a little paragraph of text next to them become a UX nightmare, where you can’t read the text. And let’s not talk about resizing the image and text so you can see them properly. It’s no wonder that the latest Web design trends suggest sliders are on their way out! Of course, it’s not all bad news. I like Mashable’s approach, where you can click or tap a button to see the whole slideshow as a list. No, that’s not shorthand for short URLs. It’s about link text that’s too small to see on a tiny screen. And if you can’t see it, you can’t tap it properly. It’s easy to get stuck in a loop where you tap the link to make it larger, then tap to visit the link, only to end up shrinking it to its original size. That’s pretty frustrating, and you’d have to be a determined mobile device user to stick with the site (or the app, because it’s happened there too!). A better option? Large buttons with easily visible navigation to lead you deeper into the site. Check out sites with a mobile-first approach. These give visitors a consistent UX no matter where they are coming from. Here’s a newsflash – mobile forms and fumbly fingers don’t mix. Long forms are a nightmare anyway, but it’s even worse on a smart phone. I’m sure I’m not the only one to feel the frustration of trying to submit a long form, only to find that something’s missing and I have to start again. There’s also the issue of trying to type info in on small keyboards. And have you ever noticed that when you really want to use voice typing, you can’t? For mobile device users, it’s best to keep forms short and simple, asking for the minimum amount of information you need. You can always get the rest later. 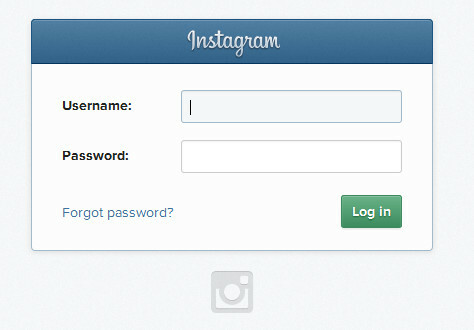 Touch responsive forms like the one on Instagram’s site also work well. Read Crazy Egg’s recent article on tweaking forms for improved conversions for more tips. I don’t know whether this is peculiar to Android devices because that’s all I have, but it’s really annoying to need to sign in with a Google account before accessing the functionality of a particular application. Social sign-in can be a boon but it should be totally optional. Like many people, I’ve got an email address I use for signing up for sites and applications. However, it doesn’t have a Google+ profile attached. Every time I use that account to sign up for something, it prompts me to create one. I’ve installed many apps and left many websites because of it. For UX success, make it easy for people to interact with your content instead of putting obstacles in their way. Many marketers love gated content; users—not so much! I’m with Neil Patel on this one: opt-ins annoy people. And the hoops you have to jump through on a PC can become an almost insurmountable task on a mobile device. Most people don’t want to fill out a complete personal history or set up an account to get information, especially if they don’t yet know that value of what you have to offer. So don’t require it. Instead, provide valuable content for free. Then offer follow-up higher-value content for opt-in. That last article highlights another UX fail: unusual controls on the mobile screen. Mobile device users have become familiar with a certain design language. They know about the hamburger menu, and know what happens when you press the home key or return key. Mess with that at your peril. Fancy navigation may make you stand out, but it might also confuse users. No one wants to read a tutorial just to find out how to move around an app. This tip comes from Theresa Neil, and it seems so obvious. Many mobile sites and apps miss out on an easy way to help mobile device users: auto-suggest. We use it in search every day, and it could be really useful when you’ve only got a tiny screen. The less users have to type, the better, so why not help them out and auto-suggest the most common options for search and navigation? 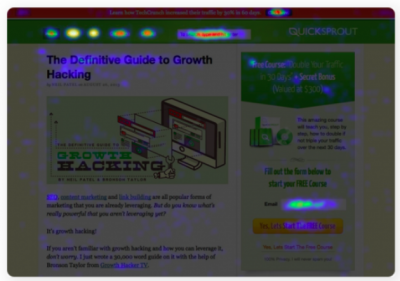 All of these UX fails can make your conversion rates tank. That’s why UX is such an important part of your CRO efforts. Not sure about your design? Test it. Not just on your desktop computer. On mobile devices as well. I’d love to see some of these UX failures get fixed. What do you wish worked better on your mobile device?